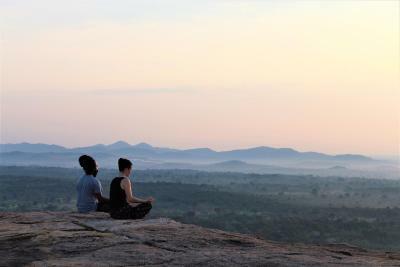 Lock in a great price for Mahagedara Wellness Retreat – rated 8.4 by recent guests! We like the location, the staff and all the food. Perfect spot for animal like monkey, birds and elephant. 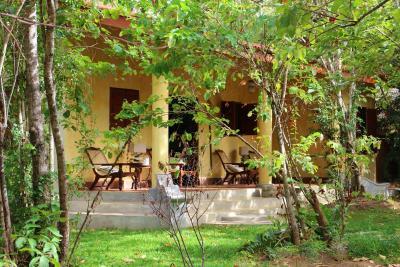 Authentic jungle escape with very special and spiritual feeling, ecologically based, grows their own garden and vegetables and supports the surrounding wild life. Very helping and friendly staff, rustic bungalows and amazing food. 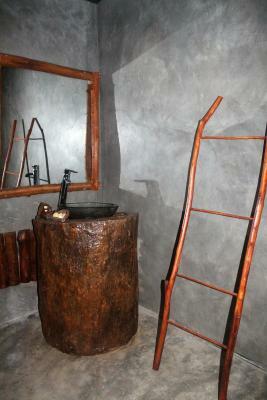 Also special ayurvedic massages, meditation, yoga and other spiritual retreats possible. The property is beautiful. 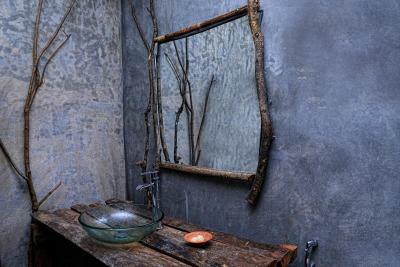 Quiet, secluded, rustic and very clean. All staff are friendly. Good atmosphere, relaxed and the staff was very helpful and service minded. The staff were lovely and welcoming. The food was really good we had traditional Sri Lankan vegetarian. The rooms were very pretty and the beds comfortable. Although we had problems getting to the hotel they were very helpful in trying to sort out repairs and future transport. If you are interested the manager will give you a very informative tour around the grounds. Fantastic location in the countryside; immaculately kept grounds; solicitous staff and scrumptious food. 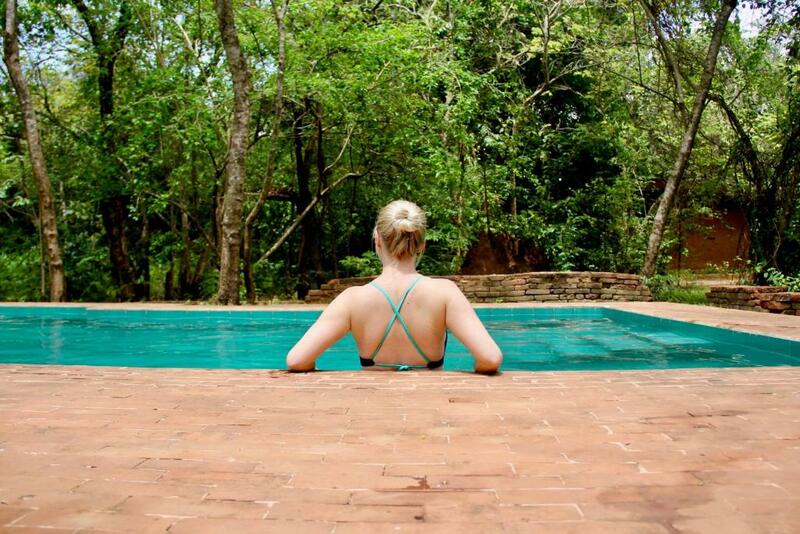 One of our top picks in Sigiriya.Featuring an outdoor swimming pool and free WiFi, Mahagedara Wellness Retreat is located in Sigiriya, 4 miles from Pidurangala Rock and 4.5 miles from Sigiriya Rock. 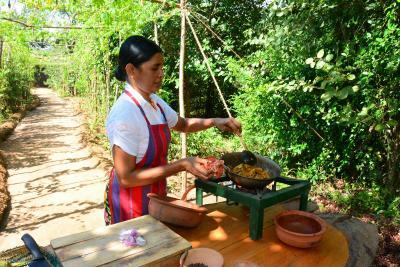 Providing a restaurant, the property also has a garden and a terrace. 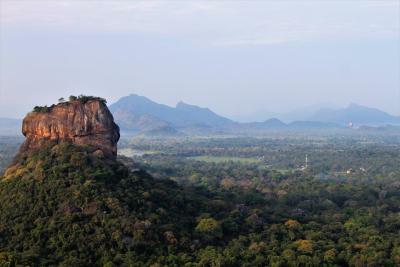 Sigiriya Museum is 6 miles from the property. At the resort, each room has a desk. 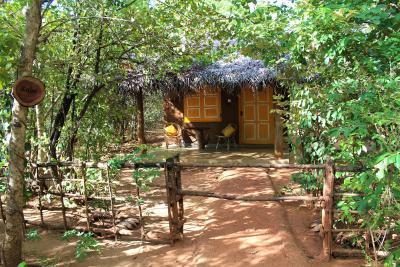 Featuring a private bathroom with a bidet and free toiletries, some rooms at Mahagedara Wellness Retreat also feature a patio. 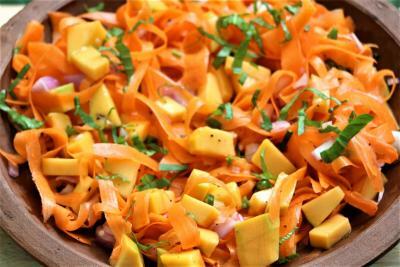 Guests at the accommodation can enjoy a buffet or an American breakfast. 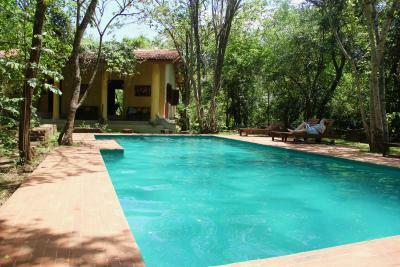 Minneriya National Park is 27 miles from Mahagedara Wellness Retreat. 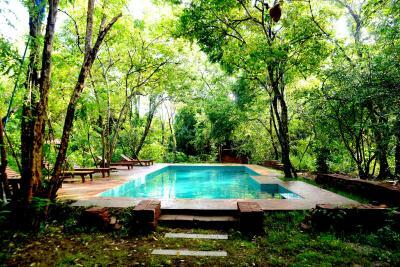 When would you like to stay at Mahagedara Wellness Retreat? This chalet has a private entrance, air conditioning and garden view. This double room features air conditioning, private entrance and patio. 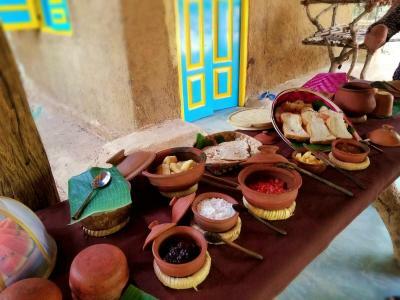 House Rules Mahagedara Wellness Retreat takes special requests – add in the next step! Children 14 and older are allowed at this resort. 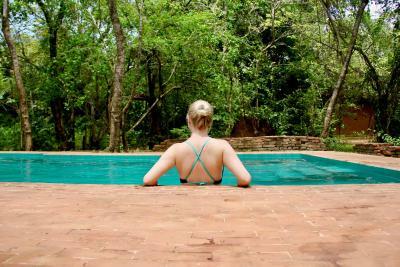 Mahagedara Wellness Retreat accepts these cards and reserves the right to temporarily hold an amount prior to arrival. It is hard to find and a long way from the main road however saying that I did book because it looked like it was a secluded spot. It is situated in the jungle so the road was very bumpy and not so good. Locating the property, took ages to do so with our driver having to call several times. The accommodation far to basic for the price paid. Bed comfortable but only a sheet on it. Minimum toiletries. Food, no choice and again basic. Told by the manager if we hear noises in the night don’t leave our room as it will be wild animals. Understood that but had no way of communicating to reception if there was a problem as no phone in the room. If you like being in the middle of nowhere might be ok for you. There had been a very wet season which damaged the several km road to the hotel. When we were there, before any repairs had been done, it was unsuitable for a hired taxi/car. Our driver ended up with a puncture trying to get us to the hotel. I would recommend phoning the hotel a few days in advance to check the road conditions if you are in a car. The wet weather had also made our room smell very damp. There was no glass or insect netting/screen over the windows or door, which meant that the shutters and door had to be kept closed so the room couldn't be aired without letting in mosquitoes. This wellness retreat might look beautiful in the photos,but it is really in the middle of nowhere. 45 minutes on pot holes roads. Hardly doable with a normal car! No signs leading to the hotel. We had to call 3 times to get directions. You are 'forced' to stay for dinner (no car will take this road after dark) Be warned that you probably can't do a morning or evening climb at Lions Rock as..it's too dark to travel over this road!. We found dinner OK, but overpriced considering what we normally paid in Sri Lanka. Our room smelled like sewage. When asked the manager said it was Jasmine! Jasmine does not smell like sewage. An air freshener with Jasmin smell was brought to the room to mask the stenchl (which, after dinner, was neutralised by the sewage smell again) We also noticed ants & other kind of bugs on the bed that looked like fleas. The door didn’t lock from the inside because the key didn’t fit and the knob was broken, it fell on the floor. The bedsheets when turned over were red stained dirty, according to the manager it was paint. How can you put bedsheets for your guests that was covered in red paint?!!! Another Major letdown : NO musquitos net! You're in the jungle! ( Also the window had NO glass/nets so dont open them : critter warning! There was hardly any hot water, you gotta shower quick or else you’re left with cold water. We finally got another room and it smelled much better. However the airco shuts down every 15 minutes! you have continuously switch off & on the main breaker to get it back up and running ( so no sleep..). The manager said said ' when reaching its temperature it stops, but this was not the! At this point we were already so tired we decided to take whatever we could take so we could sleep. The WiFi IF worked was extremely slow and since you’re in the middle of nowhere there’s hardly any 3 or 4G connection. Also : you're in the jungle, so don't expect many sunny open spaces! 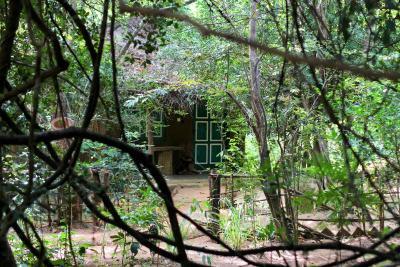 We had a perfect stay at a wonderful place in the middle of the jungle. 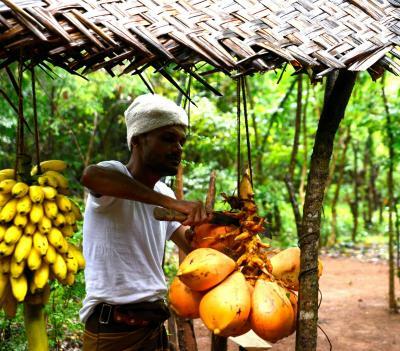 Nuwan and his team were all extraordinary friendly and willing to fulfill every wish of the guests. 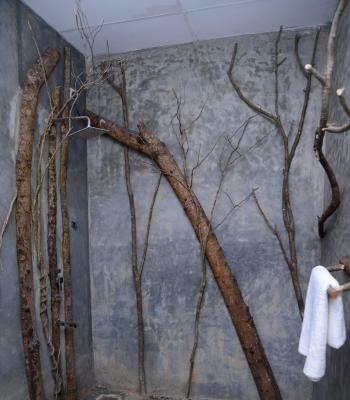 The retreat is very eco-friendly and respectful to the nature (natural materials everywhere, no chemicals, plasticfree zone,..). We even cancelled our planned trip to stay one day just at the retreat and enjoyed some relaxing pool and Spa time. We also got a little tour through the amazing surroundings of the retreat and did a cooking lesson there which was a fantastic experience. 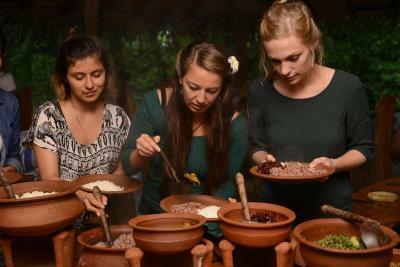 Breakfast and dinner were awesome, too and an authentic experience - with variety every day. We'd love to come back to this lovely place! Great place to stay! We came here with the family and we had a fantastic time at Mahagedara. 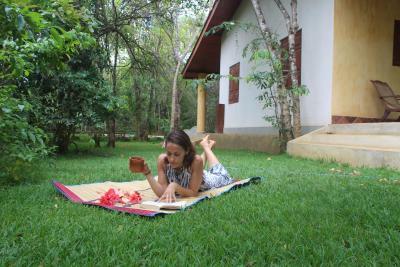 The hotel is located in the middle of the jungle, nature, tranquility and comfort are the best words to describe the place! Food is also delicious! 1. Location - the approach road was very scary and muddy. Car got stuck at couple of places. 2. Facilities - Room not clean, no hot water, AC got switched off at night. Rooms were damp and need maintenance. 3. Card - the card machine did not work, which was not communicated before. The manager agreed to accept other currency, which was good 4. Xmas Eve - no prior information on booking.com about Xmas Eve mandatory dinner, which was not worth the price. We were told about this only when we checked in at 8 pm. Good concept but needs better management and approach road Good staff.